Do you want to learn how to identify new business opportunities, assess them for feasibility and gather the resources to start a new business venture? Can you see the value of knowing how to set up and operate a successful business before you take the leap? Entrepreneurship gives you the strategic know-how to start up and sell new business ventures. You can create a dynamic career moving from employment to self-employment and back again. Pursue the long-term growth of a business you are passionate about or step from one venture to another. Too many small businesses collapse too soon. Find out why and gain the entrepreneurial skills to bring your ideas to life. 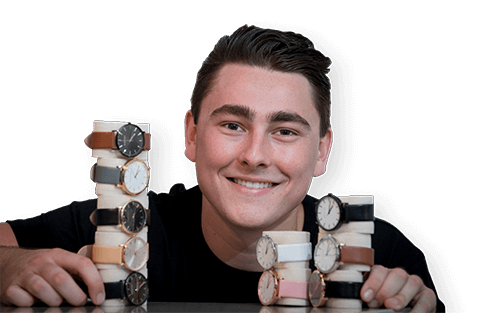 A Griffith Business School entrepreneurship and self-employment major is a toolbox for startups. Use it to develop a valuable skill set that includes small-business finance, marketing, human resource management and entrepreneurship. Learn from the people who know best. Along with your classroom lecturers, you’ll learn from industry professionals and discover how business theory applies on the job. Take on a community internship, project-based work placement or Global Mobility internship and gain practical experience, professional skills and connections that will boost your career prospects. Want a unique skill set that gives you an edge in the market? A double major will expand your career options exponentially. Choose a second major from the Bachelor of Business or combine entrepreneurship with a major from the Bachelor of Commerce. Go on to specialise in either field or combine the two and aim high in the working world. At Logan and online, you can complete your entrepreneurship degree in two years by studying on a three-trimester per year basis. Fast track options are also available at Nathan and the Gold Coast by studying over three trimesters. By studying entrepreneurship, you'll gain an understanding of the strategic and operational issues involved in choosing a career in self-employment, starting and selling new businesses, running a small business, or revitalising a family firm.